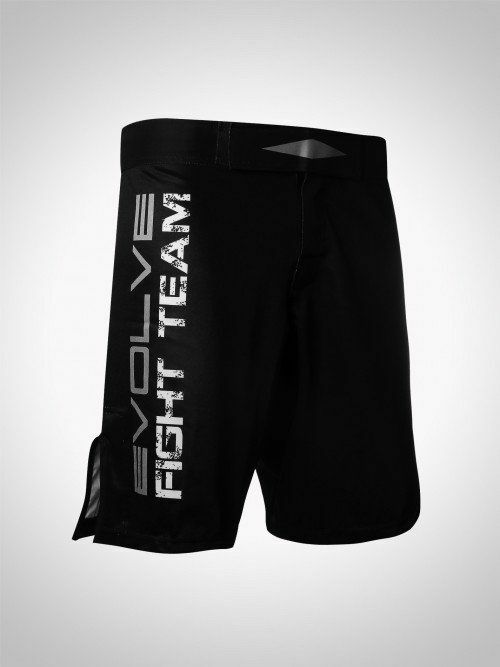 Achieve your optimum performance with the EVOLVE Prime MMA Shorts! This pair of heavy duty, high-grade polyester shorts is indispensable for all your training needs, on and off the mats. Rock them in the gym or on the streets. You’ll be able to execute your moves with style. 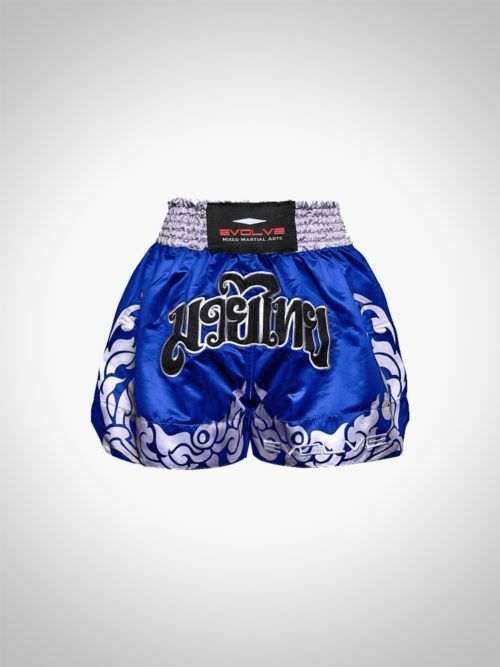 The EVOLVE Titanium Muay Thai Boxing Shorts are perfect for all Nak Muays! 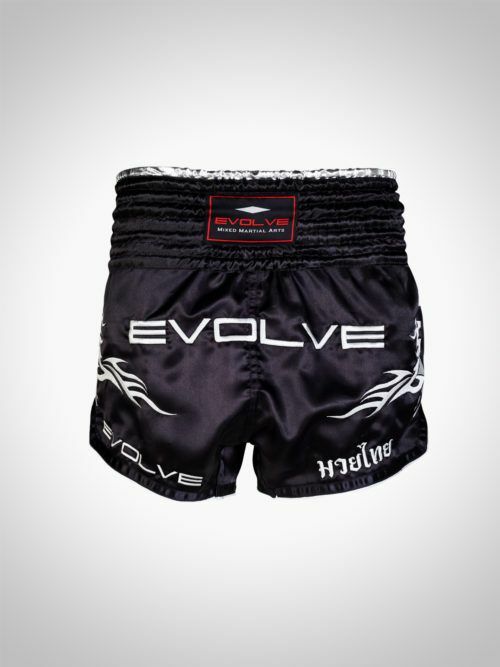 Carefully handcrafted in Thailand, these authentic Thai shorts feature premium black satin, custom hand-embroidered Thai patterns, and the EVOLVE MMA logo. 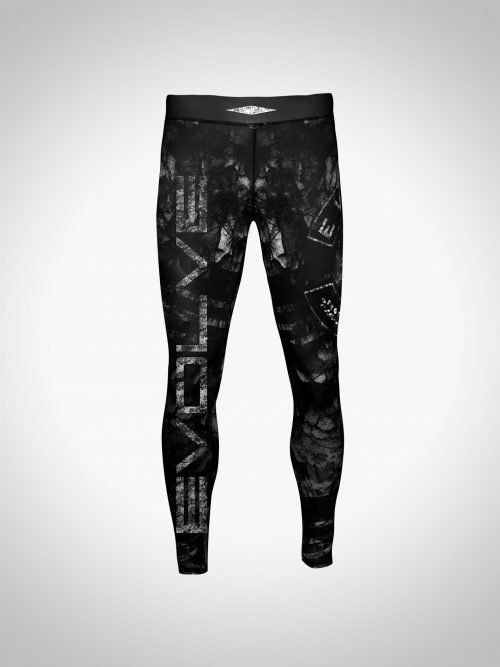 The elastic waistband ensures a comfortable fit and features an embroidered EVOLVE MMA logo. The sides of the leg feature slits to allow freedom of movement to freely execute your knockout moves! Take style and comfort to the next level with Evolve Fight Gear’s NEW Warrior Muay Thai Boxing Shorts! Featuring an elastic waistband for maximum comfort and extra-wide short trunks that let you move freely, you can expect to get the most out of every training session. Available in red, black and blue. 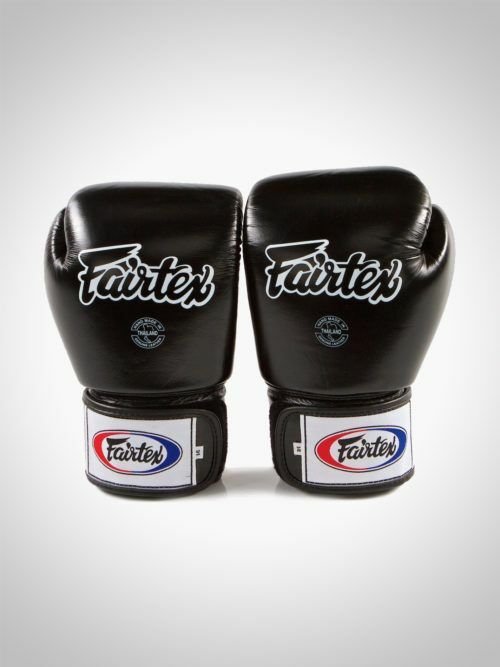 Made in Thailand at the Fairtex factory, these gloves are ergonomically engineered with a unique contoured and tight-fit hand compartment designed to provide a secure and snug fit. Available in 6oz and 14oz. 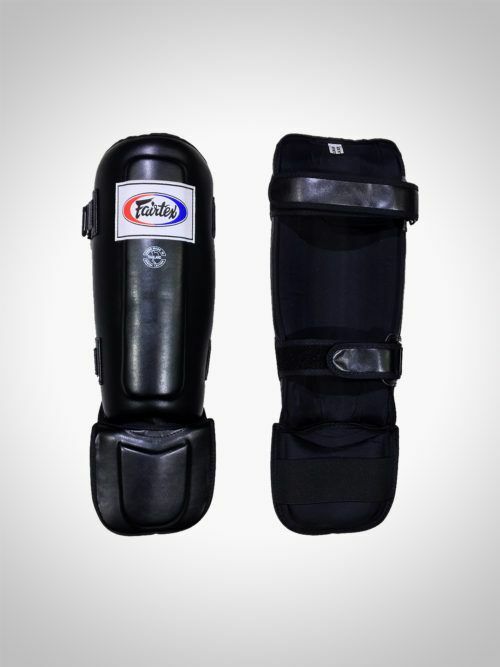 Take your sparring to the next level with the Fairtex SP3 Shin Guards. Designed with the most intensive training of World Champions in mind, these shin guards are perfect for protection and comfort – so you can effectively block strikes and focus on your next move. Stand out from the crowd with the slick-looking Insidious Grappling Spats! Made with a smooth blend of 80% polyester and 20% spandex material, it is artfully designed for comfort and mobility. Executing your moves with these spats will be like poetry in motion. 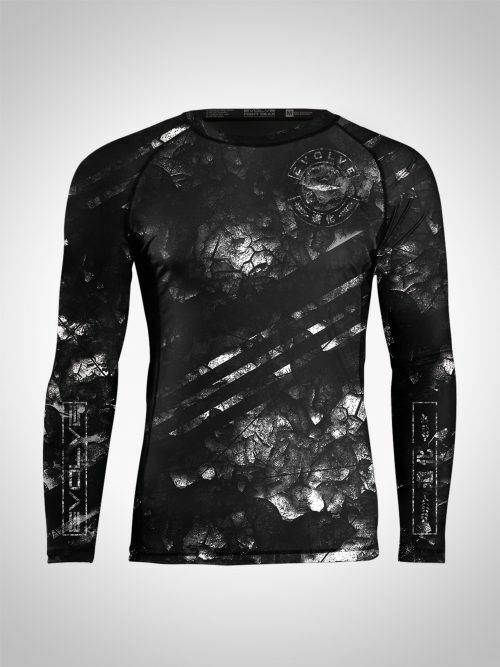 Sneak in your next move with the Insidious Rash Guard! 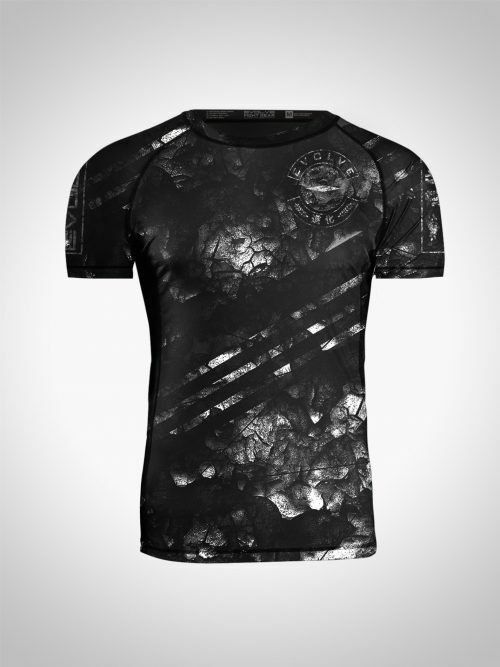 Made with the best compression technology, for maximum comfort and durability, this stylish rash guard is perfect for the urban warrior. Available in short sleeve and long sleeve. 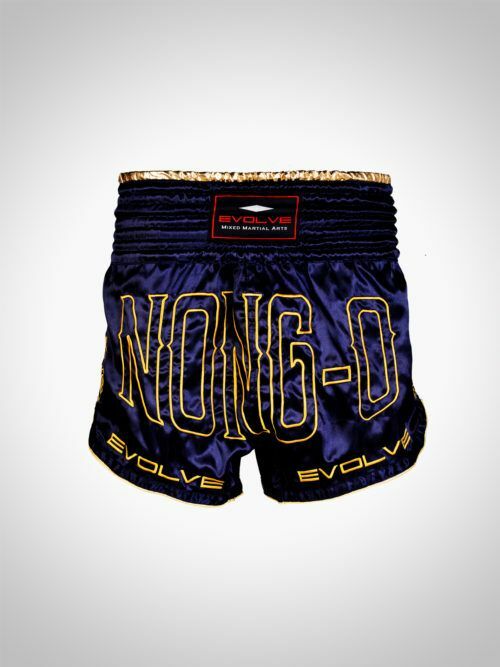 In collaboration with multiple-time Muay Thai World Champion Nong-O Gaiyanghadao, Evolve Fight Gear presents the Limited Edition World Champion Nong-O Gaiyanghadao Muay Thai Shorts. Designed to incorporate Nong-O’s preferences and style, these shorts were handmade in Thailand with premium satin, full embroidery, and a customized badge that features Nong-O’s signature and fight nickname “Yod Muay Muang Sakon”. 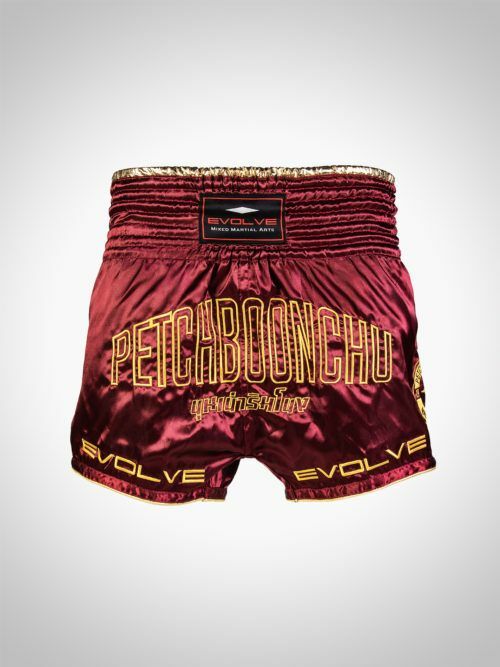 Unleash your inner warrior and feel like a Muay Thai legend whenever you put on this limited edition pair of Petchboonchu FA Group World Champion Muay Thai Boxing Shorts! Featuring an elastic waistband and made of soft material, this pair of shorts takes comfort and style to the next level. Designed by Warriors for Warriors. 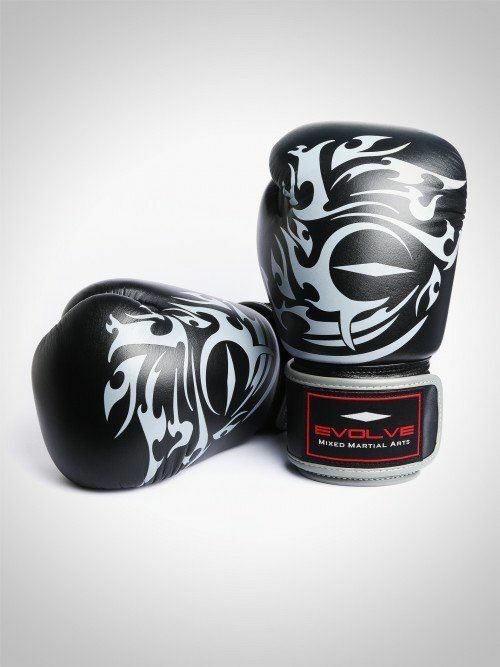 Made of the finest materials, the Evolve Boxing Gloves will optimize your performance when you train, be it in sparring or on the pads. Limited edition. Available in limited quantities. Get in the ring and face your fears with these Classic MMA Shorts. Made with two-way stretch material, you’ll be able to pull off a takedown or a high kick comfortably.